Over the past few years we have had a chance to touch many people’s lives with our Guatemala cycling trips – showing a side of the country beyond the tourism map. Mountain biking in Guatemala is always a cultural experience, and many of our testemonials speak to the incredible beauty and warmth of the country and it’s people as well. Brendan has put together an unbelievable collection of tours to choose from throughout Guatemala. No matter your experience or interests, MTB Guatemala has rides perfect for you. I was extremely impressed with Brendan's knowledge and professionalism as a guide. If you are even thinking about riding Guatemala, go ride with these guys! You won't be disappointed. Brendan James is an experienced mountain bike guide with a wealth of knowledge of trails, Guatemalan culture, and a great personality to boot. You will NOT be disappointed or bored on one of his tours. 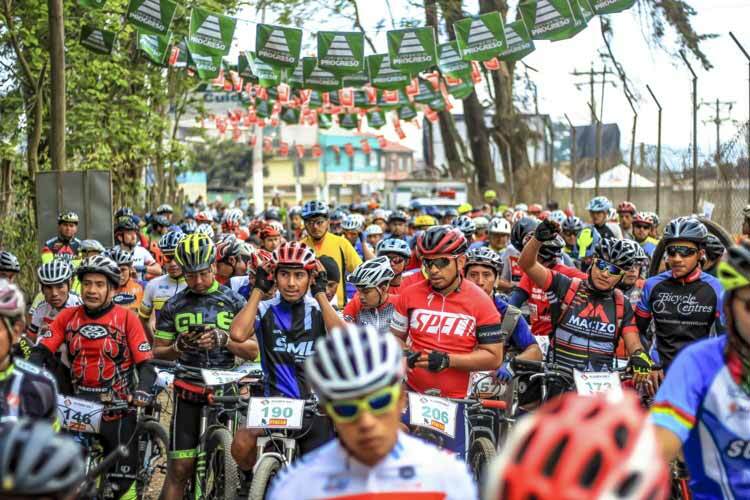 MTB Guatemala is a great place to get more information on mountain biking in the area whether you're a new rider or an experienced one and meet local riders and truly get immersed in the growing and awesome mountain bike community. Awesome crew. Brendan was our host while we stay in Antigua. He is the best! Always scouting for new routes, sharing places to eat, drink coffee or just go for a beer. He really loves cycling as much as we do. David the bike mechanic help us a lot with our bicycles. He rebuilds a rear wheel in a few days and also fixes our stove, brakes, transmission. Everything! Thank you guys! we had an amazing experience. Mountain Bike Guatemala is the best company in Antigua. They tours, guides and bikes are terrific. The business offers tours and routes that no body else knows about, plus the tour guide "Brendan" is really knowledgeable and will tell you all you have to know about Guatemala from his prospective. Hands down best mountain bike tours in Guatemala, and all of Central America! Brendan and his guides know the single track staches of Guatemala better than anyone and love sharing it! The guiding was well organized, professional and fun. We got to see people and places in the country we would never have discovered on our own and travel by mountain bike is the best way to do it! 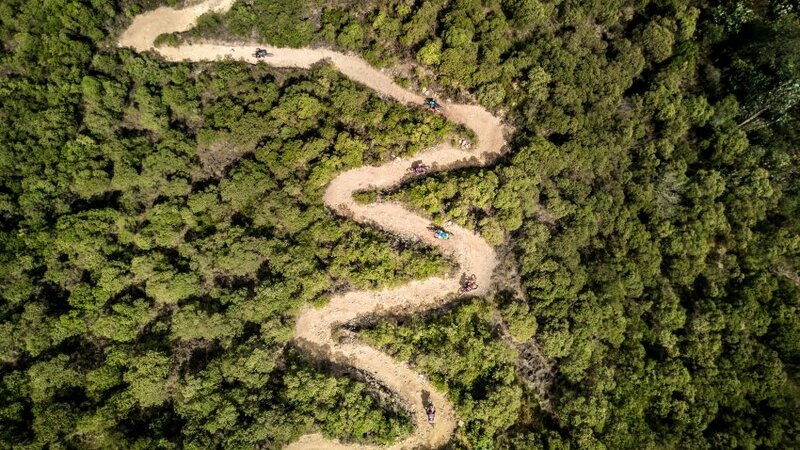 Be prepared for steep climbs, roaring descents and fabulous vistas!! One of the best things I did in Guatemala was ride with these guys. They're a professional outfit with apparently intimate knowledge of all things mountain bike in the region. The trails were amazing, along with the cultural insights. Would have ridden again but my trip was over. If you are looking for adventure and if you want to see Guatemala off the beaten path, then MTB Guatemala is the place. 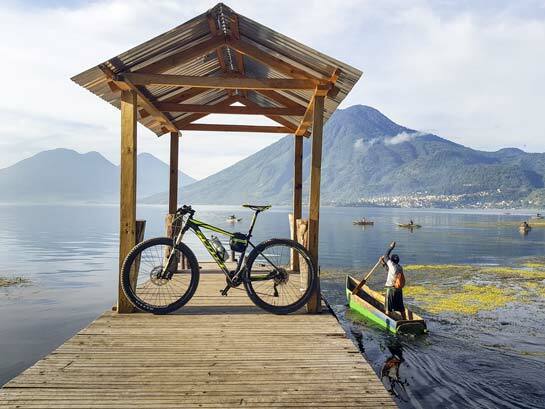 Deeply rooted in sincere passion for mountain biking and the culture of Guatemala, MTB Guatemala not only brings you on the best rides in the country, but they also ensure that you get a taste for what Guatemala is really about. From ancient Mayan trails to sandy volcanic terrain, through rivers (literally) and old forests, breezy highland villages and high mountain avocado farms; they offer something for everyone. Aside from the epic descents, what I most enjoyed was the interactions with the local people. We ended up in places far, far away from the tourism hot spots at which locals were enthralled by our presence. It made for countless phenomenal interactive experiences with the 'real' Guatemala that ended up being the highlight of my whole Central America trip. When you're on a mountain bike way off the beaten path you see, hear, smell, and taste all sorts of things you wouldn't otherwise experience. I think that a mountain bike is the best way to experience a foreign culture, and the diverse, all-encompassing MTB Guatemala tours are perfect examples of that.I consider myself a moderate mountain biker (but I'm a much stronger mountain biker after Guatemala!). I've been shredding for a couple of years, mostly in the Pacific NW United States. I am no expert by any means. We did two tours: the Dos Aguacates Enduro Tour Antigua (day trip) and the Lake Atitlan Enduro Tour (two days, takes you from Antigua to Lake Atitlan). I was a little worried going into it knowing that I am not an expert, but in the end I was immensely happy with my experience. There is plenty of expert terrain but with help and advice from MTB Guatemala and my fellow riders, I was able to overcome any apprehension I had and fully send it. The majority of the terrain is unlike anything I had ridden before.The Antigua Enduro was a blast. It was a lot of riding in somewhat loose volcanic sand (in the dry season), so it made for some really fun descents. You will learn to skid turn, for sure. Coming from Montana I was not used to the loose sandy terrain but I had it down pretty well by the end of the day. I am not the fastest climber so I was relieved that the expert riders on the tour waited up for me on the climbs, and they never made me feel uncomfortable or embarrassed whatsoever. The shuttle support was a game changer and allowed us to reach really high places without having to ride up thousands of feet. At the end of the day we had lunch at a small local spot where we experienced delicious Guatemalan cuisine unique to the village and the surrounding area.I really loved the Lake Atitlan Enduro. In the grand scheme of our trip my brother and I were headed to Lake Atitlan after Antigua, so we used this ride as our means of getting there. Typically you'd ride to the lake, have lunch at the overlook, descend down to it, stay in a hotel (included in the tour), wake up the next day and shred more around the lake, then ride back in the shuttle to Antigua. What we did instead was send our luggage with the shuttle and continued our journey from the lake after the second day's ride. It made for a really cool and tremendously satisfying way to get there. The views on the Lake Atitlan tour are insane. Descending from the top of the mountain overlooking the lake into the village below and then to the waterfront was an unforgettable experience. The tour also comes with another delicious local Guatemalan breakfast on day 2 and a midday lunch (on both days).Brendan and his team's deep passion for the culture and inspirational vision for MTB Guatemala was very obvious from the moment we met them in the shop. They have been identifying, studying and developing these routes for several years and it was really cool to see what they have done. They are building something really fantastic and I can't wait to go back and shred some more with them. Absolutely recommend to anyone and everyone. You will NOT be disappointed. MTB Guatemala is the shop in Antigua for a unique mountain bike adventure. Brendan and the squad have an impressive depth of knowledge when it comes to the abundant trails in Guatemala. Top that off with dialed-in logistics and authentic experiences in the many remote villages that you'd never otherwise see. Together these elements created the highlight of our trip to Guatemala! Thanks for the good times and one of the best days of my life! Brendan is really enthusiastic and loves riding, sightseeing and to empathize with people. The bike tour was just a unique experience, I got to feel the real Guatemala! Amazing MTB experience! They have a lot of different detailed trails for beginners and experienced riders. Very good quality bikes. Also during the ride you get snacks and information about the mountains you are riding. Definitly recommending those guys! Highly recommend these guys! I came to Antigua as an avid cyclist looking for cycling adventures that reached above the usual tourist-geared bike tours--you know, the ones my mom loves that involve more wine than biking--and MTB Guatemala definitely delivered. My first ride, Brendan (yes, he's an American expat and speaks English and Spanish fluently) took me out to the coffee fields of Volcan de Agua, where I ripped around volcano farm single track on a hardtail. The trails were insanely fun, the farmers we met were friendly, and the views were stunning.The tour was accurately listed as intermediate. I had tons of cycling experience and little mountain biking experience, so I was able to get by for most of it. If you're a tourist walking in off the street with very little experience on a bike, do yourself a favor and choose a beginner route, or else you will be walking your bike down technical sections. If you're an experienced trail rider from Colorado, advanced will be advanced, and technical will indeed be technical. I was somewhere in between, and Brendan gave me a lot of pointers that allowed me to dramatically improve my MTB skills in just a few hours.I had such a good time on Agua that I hired Brendan for a 2-day Lake Atitlán tour from Tecpan to Panahatchel. I was at first hesitant about the price, but by the end of it, I was surprised it was so cheap! I got more from that two day tour than I did from my 10-day stay in Antigua. It was a magical experience. He set me up with a high-end full suspension trail bike with a dropper post, 27.5 wheels and 150mm of travel. After beating on that thing for two days, I'm not sure how he made any money off me. The climbs were challenging, the downhills were a good mix of technical and fun, the villages were remote, and the views were surreal. Everything about that tour was surreal and provided me with a lot of insight into Guatemala and where it's at in its history. It left my first-world brain buzzing for the next couple of days. I'm also a much more skilled and confident mountain biker as a result. Can't say enough good things! Money well spent! Best of luck to you, Brendan! Absolutely superb. The guide listened to my needs and tailored a trail for my skill and fitness levels. If I had more time in Antigua I would definitely book one of the other trails.Highly recommend. Interested in seeing Guatemala for yourself? There is no better perspective to see a country for the first time than from the saddle of your bike. Check out our mountain bike tours and multi-day epics – and let’s get you out and riding!